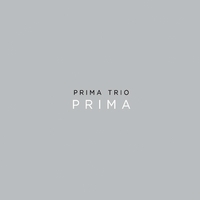 Prima Trio debut CD is released and on sale worldwide! Following another successful touring season Prima Trio is happy to announce the release of their first CD album-PRIMA. Diverse and colorful works in this recording include original compositions, such as Trio by Aram Khachaturian and Suite by Darius Milhaud, as well as Boris Allakhverdyan's arrangements of Oblivion and Otoño Porteño by Astor Piazzolla.